Want to become part of the Team? Email me with the answer to this question? CRUNKATLANTA DIGITAL MAGAZINE does not take responsibility for unsolicited materials, mis-information, typographical errors, or misprints. The views contained herein do not necessarily reflect those of the publisher or its advertisers. Ads appearing in this magazine are not an endorsement or validation by CRUNKATLANTA DIGITAL MAGAZINE for products or services offered. All photos and illustrations are copyrighted by their respective artists. 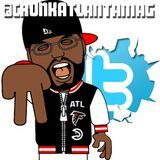 All other content is copyrighted by CRUNKATLANTA DIGITAL MAGAZINE, all rights reserved. No portion of this magazine may be reproduced in any way without the written consent of the publisher. Printed in the USA. 2019 This magazine is to bring awareness to Businesses with little to no platform for marketing across the country. CRUNKATLANTA MAGAZINE Want to become part of the Team? Email me with the answer to this question? OneUnited Bank – the nation's largest Black-owned and FDIC insured bank – is leading the movement to BankBlack® and Buy Black, to garner our spending power and channel it back into our community to create jobs, build businesses and increase wealth. Miss Mary's CBD Bath Bombs Soak in a CBD Bath Bomb to soothe your aches and pains. You're on your way to a muchneeded relaxation. Miss Mary's CBD Tinctures For full body pain relief, treating anxiety, stress, depression or even to fight insomnia. Lotto Savage - Georgia Lottery Back in January, Lotto gave us his first release of 2019, titled "Trap No Mo" which is also featured on "Georgia Lottery". Slzy E Instagram: @MOBBSTARSLZY504 Email: ericspinks0421@gmail.com Music Description "MOBB STAR" feat. Michael Orleanz is a new single by Slzy E, the cousin of the late Soulja Slim, Michael Orleanz. "MOBB STAR" is a lyrical track that gives off good vibes with a hook that will draw you in. Artist Bio Eric Spinks, professionally known As Slzy E, is a hip hop artist from New Orleans, Louisiana. JULZ -FOR IMMEDIATE RELEASE-"Back to the Basics" is the debut release from Julz (@julzmuzikk), a New York born artist with a melodic style destined to impact the hip hop world. Raised on hip hop, Julz was taught very early to “Respect the Culture” and “Keep the Game Moving Forward.” His first release “Back to the Basics” showcases his lyrical skills that are sure to capture the attention of hip hop fans from all generations. AtlantaSexToy.com His excites. Hers delights. Together feel them ignite with ease and comfort. It takes two personal lubricants to make chemistry, to make magic, to make love. K-Y Yours+Mine Couples Lubricants provide an invigorating warming sensation for him and a thrilling tingling sensation for her. Put the two together for a totally new, unexpected experience. It's more exciting. More satisfying. More everything. Intended to supplement the body's natural lubrication. 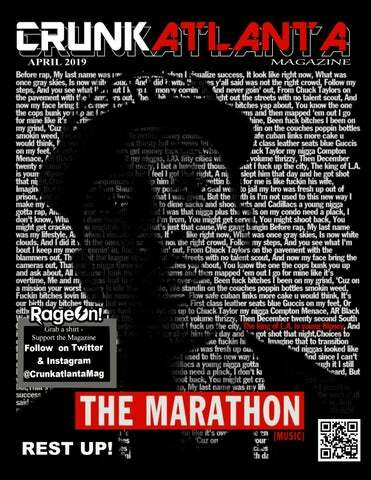 CRUNKATLANTA MAGAZINE Mr. Floss A Lot is a rapper and a producer from Detroit, Michigan that was signed to In Da Zone Records. Mr. Floss A Lot debuted with his debut cd in 1999 titled "Floss Pretensis" which featured members of Rock Bottom (Bathgate & Rod Dae). Then In 2000 Mr. Floss A Lot produced and was heavily featured on Platinum Side's album "The 21 Count Indictment" which also featured the two members from Rock Bottom as well as Big Herk. As time passed and with Mr. Floss A Lot out of the spot light in 2006 he released and produced an album with the group Y.B.I. and their album "Supply & Demand" which featured major artists such as The Game & Royce Da 5'9". Do you want to Advertise in “Crunkatlanta Magazine”? SELLYOMUSIC.COM Sell Your Music with SongCast! Created for independent artists, SongCast aims to give tools and resources to help artists promote and sell music online. SongCast is loaded with features that allow the artist to concentrate on what they do best, making music. Sign up today and you will be selling music online with iTunes, AmazonMP3, Google Play and more! You'll even receive iTunes Daily Trending reports, get a Ping artist account and hopefully see the sales of your music multiply. Moreover, as an artist, you'll have access to all of our retail partners, social media marketing tools and fan outreach strategies to promote your music. Connect and promote your songs through Facebook, Twitter & Myspace to reach your potential for new listeners. You can even use SongCast Radio to promote your music online. People from all over the world will be able to listen to your music, and you can use this radio network as a platform to promote your music to them. What's even better, artists selling music online through SongCast are able to keep all of their royalties, but will not have to worry about the tedious application processes for music retailers like iTunes, eMusic and Amazon. With SongCast you can promote your music effortlessly. So what are you waiting for? Take your fate into your own hands and use SongCast for selling your music online! Make sure you are following @CrunkatlantaMag- even the President is Following #CrunkatlantaMag along with other Celebrities. GOT MUSIC you want promoted? Want your Business, Music , Mixtape, Business Card, etc. Listed Just send us an email on what you are seeking and size And it will be in the next issue. Thank you for taking the time to view this digital publication.